Beer and jelly – what a delectable combination of sweet and savory, and a gold mine for breakfast lovers like us! 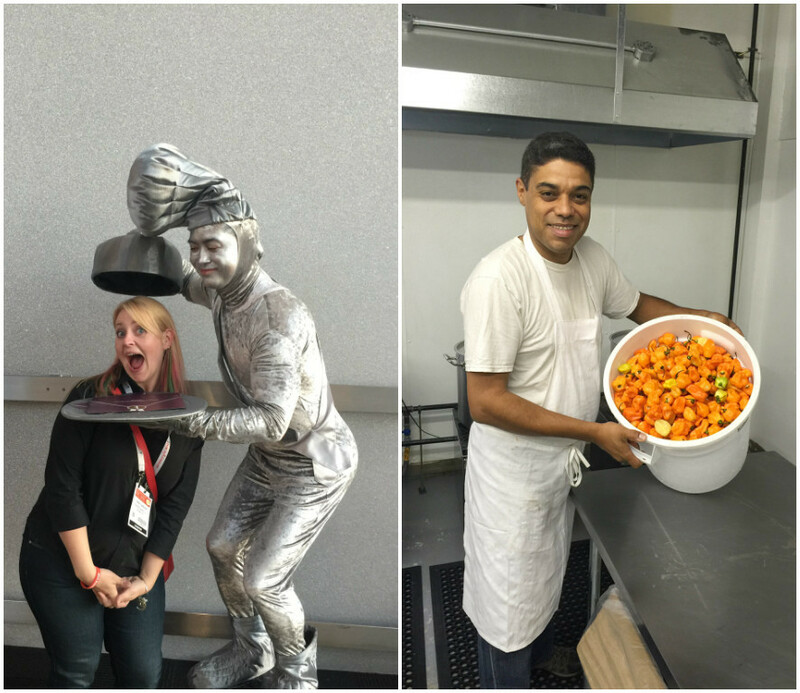 Potlicker Kitchen has been one of our favorite things to serve, as a little surprise for our morning guests. Vermont made, with local ingredients…Vermont beer, no less! Rick likes to give guests at least two varieties – one dark and one light jelly – to pair with either scones or cheese. 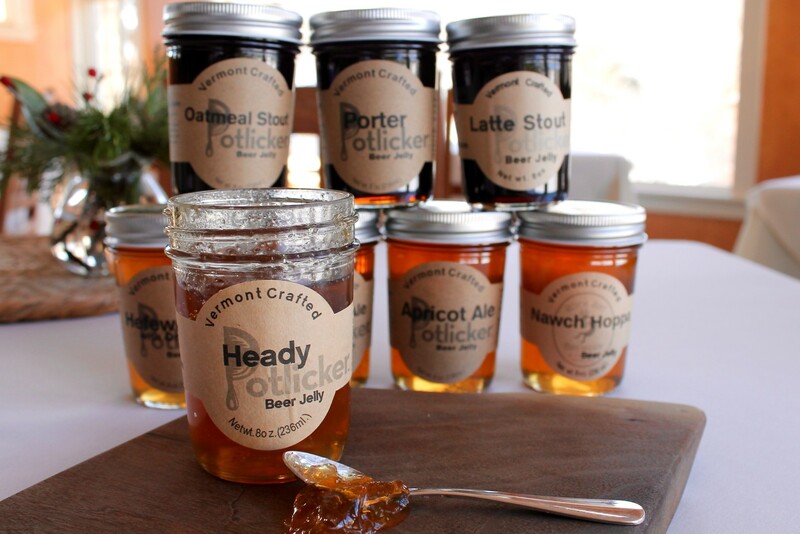 While Potlicker’s jams and jellies are impressive in their own right, an intriguing backstory simply adds to the appeal of these little jars of awesomeness. Owner, Nancy Warner is incredible to talk to. It’s almost like chatting with an old friend. Lots of laughs and easy conversation flood the room. 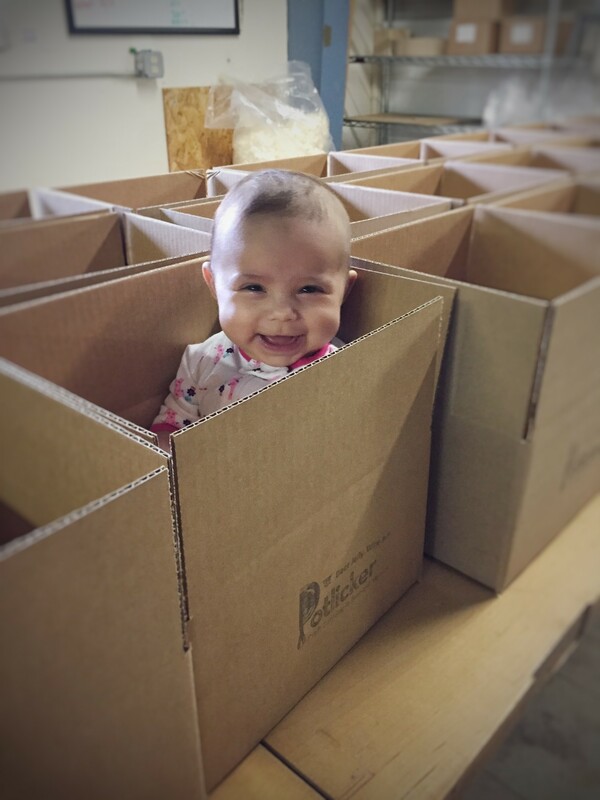 It’s easy to hear her excitement for Potlicker and its upward growth. Nancy moved to Vermont upon her husband Walter’s admission to Vermont Law. Nancy grew up in Florida and met Walter, originally from the Catskills, at Florida State. They moved up north in 2009 and started the canning business in 2011, pursuant to Nancy’s blog which she established in 2010. They both recently welcomed a new baby girl into their family as well! Both Nancy and Walter have archaeology backgrounds. And while Walter was pursuing the law route, Nancy had trouble finding work in the area. She waited tables and worked in restaurant kitchens while Walter attended school. During this time, Nancy also started foraging as a hobby – a rather natural pastime considering the locale and her archeologist background. Nancy also began canning to preserve the fiddleheads and other flora she found. “Canning is an addiction, and strawberries are the gateway,” Nancy cleverly states. Jamming became a thing of enjoyment and stress relief for Nancy. She remembers staying awake until two or four in the morning, after her restaurant work, to can and jam. After this went on for some time, Walter encouraged Nancy to go to local markets and share her delectable goods. In fact, we were introduced to Nancy and her beer jellies at Woodstock’s Market on the Green! Nancy dubbed her canning business Potlicker after a southern phrase, meaning the “leftover food scrapings from the bottom of the pan, when it has turned rich and mellow. It is slightly greasy and thick like butter but flavored like a creamy decadent reduction of the last meal you made. A meal that probably had pork fat. The marrow of the meal! Potlicker butter on bread! Heaven!” Nancy’s early jams were certainly an ode to her southern upbringing as she put a southern spin on her recipes. But this doesn’t explain the product Potlicker is prominently known for – beer jelly. Nancy describes its conception. “I was canning in the middle of the night and ran out of fruit. I knew you could make wine jelly, and I found beer in the house…so I made beer jelly! It was a surprise hit at the market.” And what a hit it was. Nancy concocted her first beer jelly with a Sierra Nevada Celebration Ale she had on hand, eventually transitioning to a friend’s home-brew and other local beers as well. 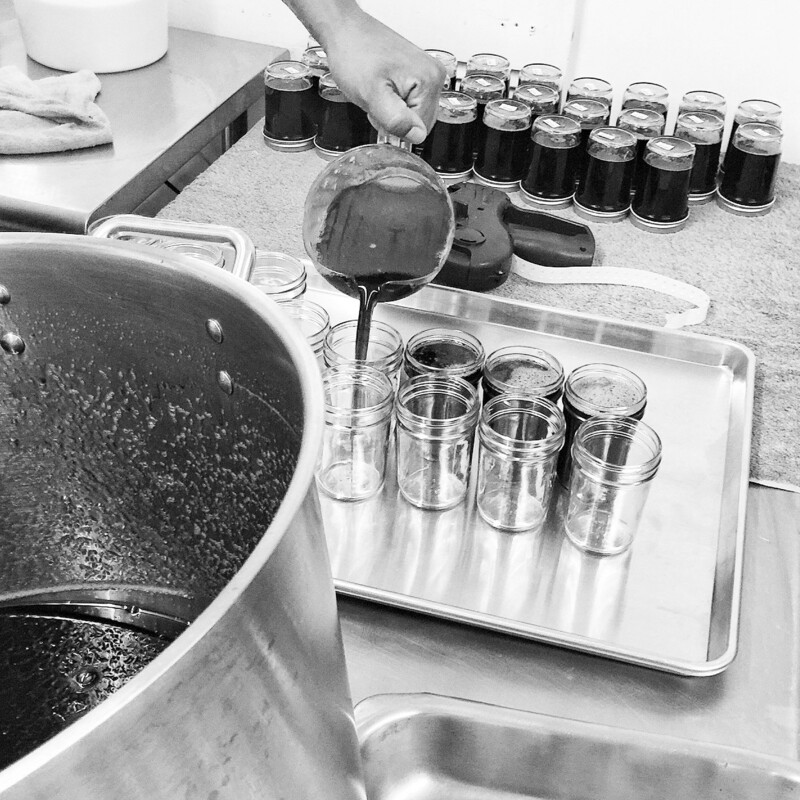 Nancy explains that while she was exposed to canning and jamming growing up, Vermont provides an abundance of ingredients that are exciting to work with. From beer to fiddleheads, her canning may not have taken off the way it has if not for her relocation to Vermont. So how is beer jelly different in the canning world? It’s a flavor others don’t necessary conceptualize in jelly form. But Nancy does. “I didn’t want to make a jelly you could buy just anywhere.” She wanted to make something you could not only spread on a bagel or biscuit, but also use as a cooking condiment to layer flavors into your dish. In fact, Nancy’s blog acts as a solution to the seemingly daunting task of cooking with this novel ingredient. She utilizes this platform to show her customers how they can use the product in ways they perhaps haven’t thought of before, encouraging them to enjoy experimenting in the kitchen. Beer jelly should be something fun, rather than intimidating. Nothing to fear here! “Honestly, making beer jelly is not too different from fruit jelly – it’s just using adult juice.” This simple tweak in flavor profile has earned Potlicker some well-deserved attention as a company that isn’t afraid to play with taste. The results, as Nancy proves, can be extraordinary. Stowe Cider was one of the first collaborators to reach out to Potlicker early on in their business. 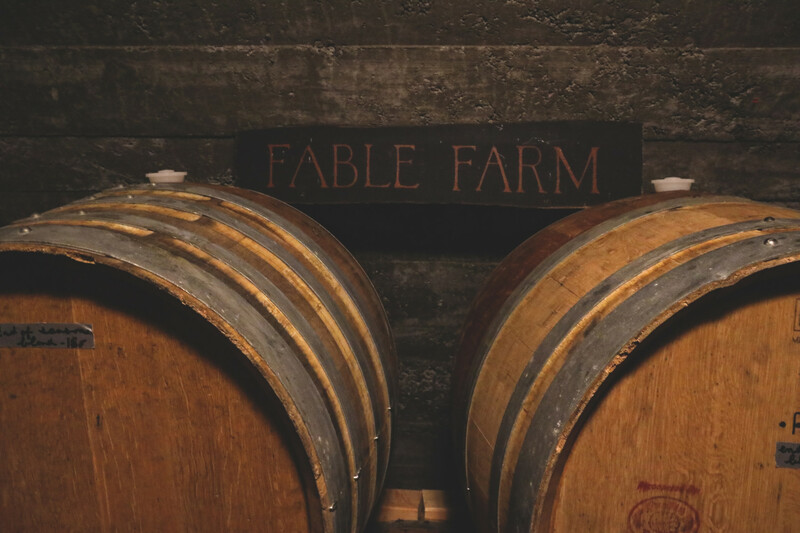 They now work with other prominent brewers in the area, such as Long Trail Brewing, Harpoon Brewery, and Alchemist Brewery. 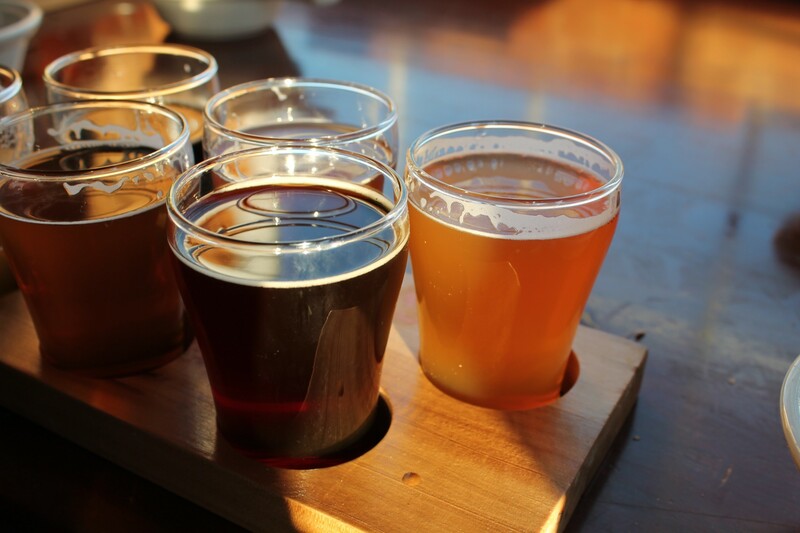 Nancy continues to learn as she works with various local brewers. “Beer often tastes fruitier in jelly. It tames the bitterness. Hops can taste and smell fruity, malty, rich, and chocolatey.” After putting Potlicker’s name on the map, Nancy has goals to get back into pickling ingredients found locally – still, with flavors that differ from anything else you’ve tasted. 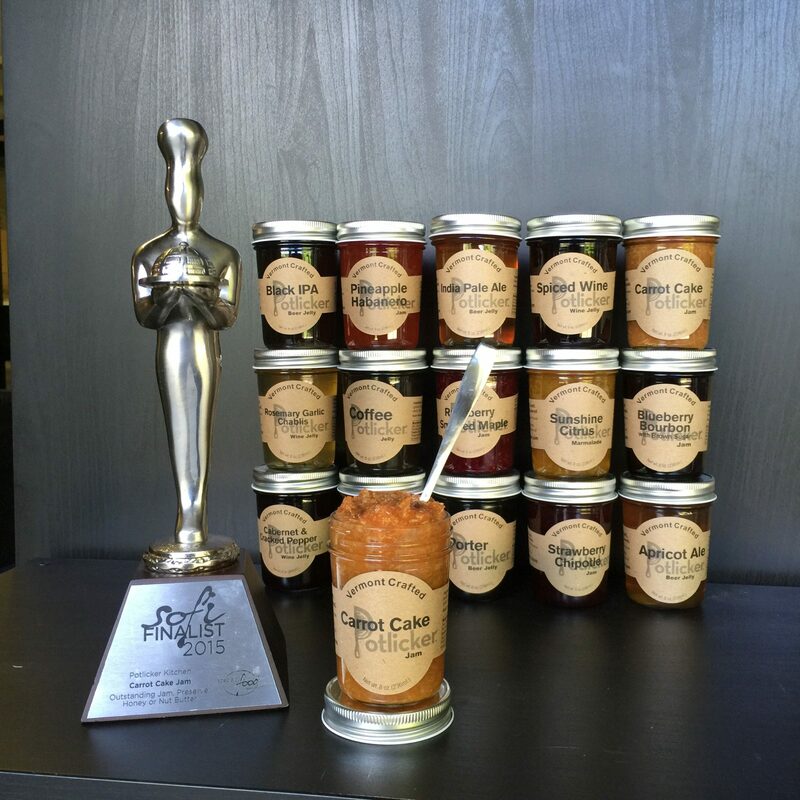 With over a half million dollars in sales this year alone, Potlicker has also earned two Sofi Silver Awards in the past two years for their Carrot Cake Jam (their best performing jam). 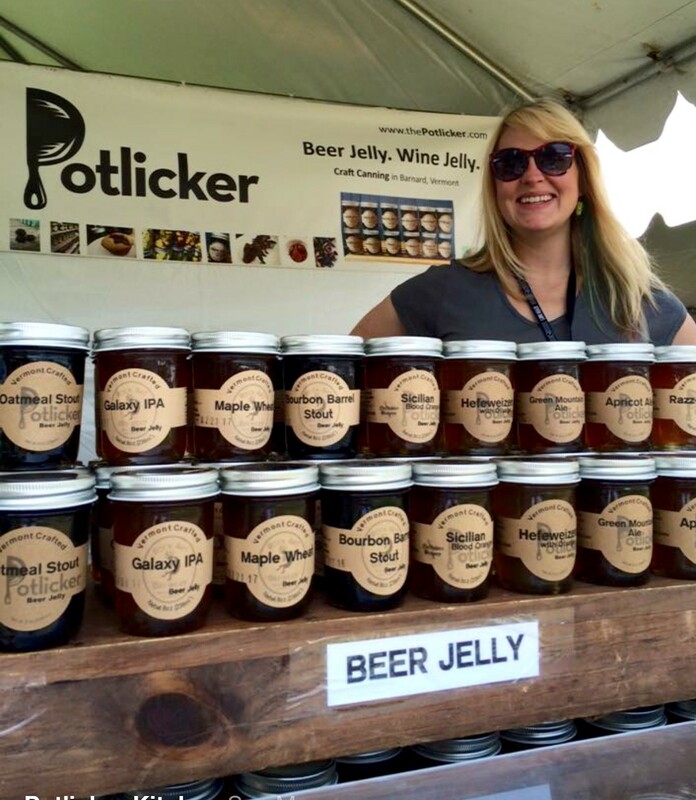 Potlicker’s India Pale Ale Beer Jelly is another top performer. 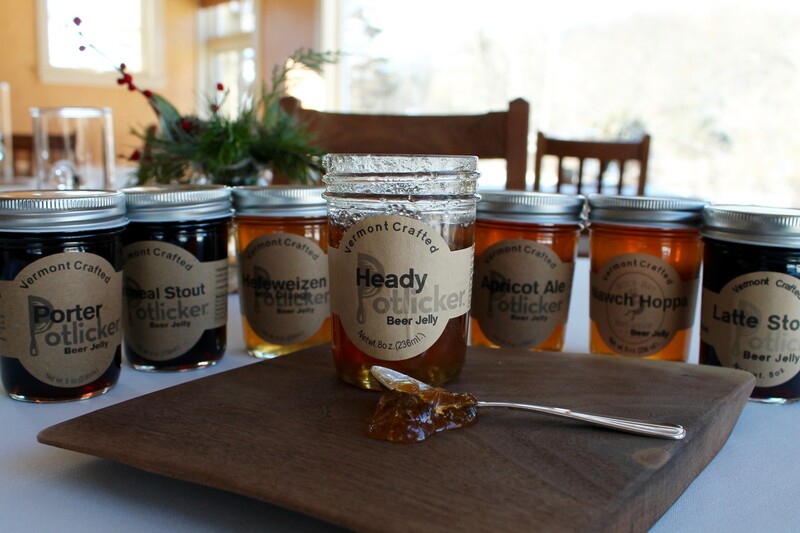 We personally love their Heady Beer Jelly, made with Alchemist Brewery’s renowned Heady Topper. We’d also like to give a nod to our friend from Worthy Kitchen, Ian, and his brewery’s collaboration with Potlicker in their Latte Stout Beer Jelly! We absolutely love these jellies, and can’t encourage you enough to have some fun experimenting with this amazingly delicious ingredient. 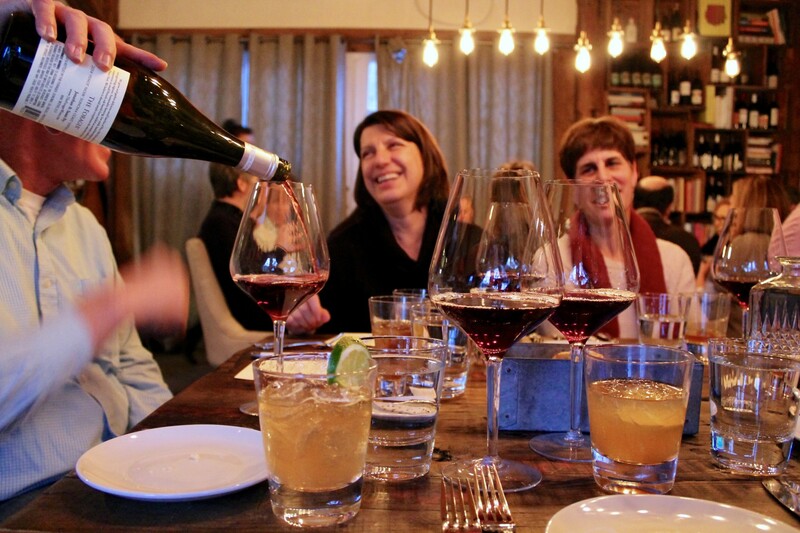 Unlike anything you’ve tasted – we guarantee you’ll want to try more!